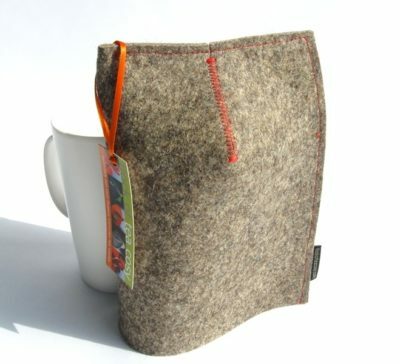 Our minimalist, manly french press cozy design appeals to a modernist sensibility as well as any coffee drinker who likes eco-friendly products. 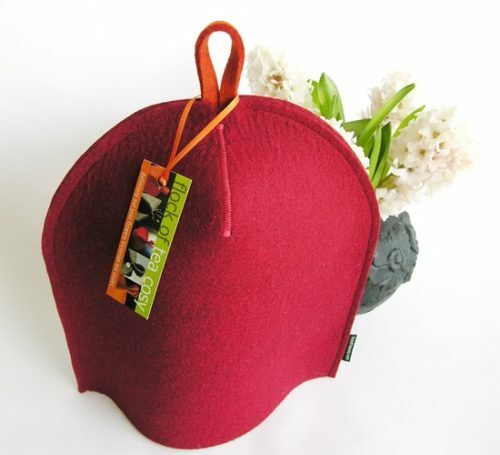 Handmade in Canada from European 100% wool felt which is a natural fabric, a renewable resource and biodegradable. 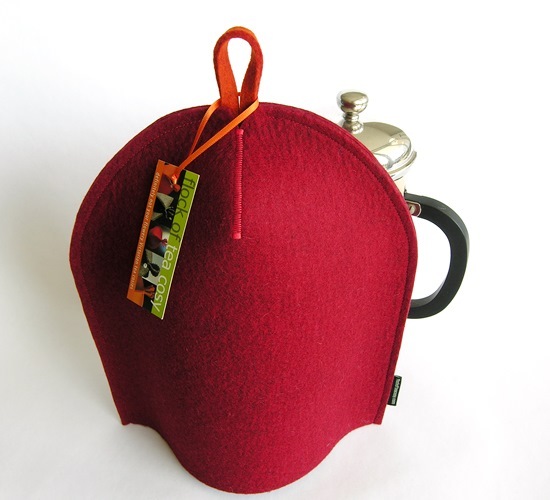 Flock of Tea Cosy’s coffee cozy designs are made to fit the popular French-press by Bodum called “Chambord.” They will also happily fit other coffee presses, carafes or items with similar or smaller measurements. 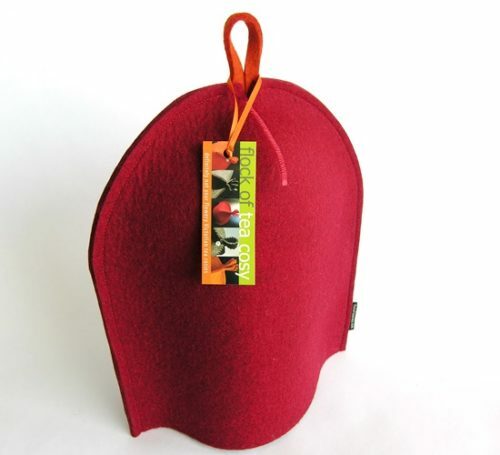 This cosy is handmade from 3mm-thick, 100% wool felt from Europe in lucious Mulberry Red with a contrasting hang-tab in Burnt Orange. 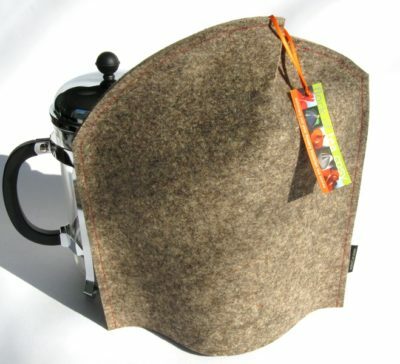 This is the flock’s Classic curved, modern shape and “Baseball” design elongated to fit a french-press coffee maker. Its centre dart is closed with zig-zag ‘baseball’ stitching. Front and back are the same. 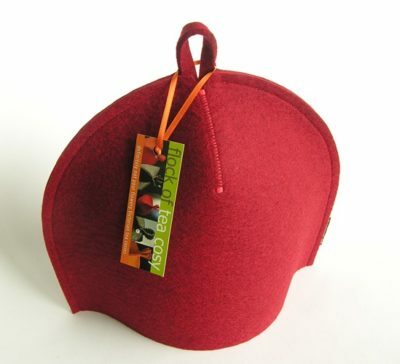 FYI the felt is manufactured to OekoTex 100 standards which ensures it is non-toxic. COSY SIZE: 19.5″ circumference and 9.5″ height which comfortably accommodates the popular Bodum “Chambord” coffee press 1L (8cup, 34oz) size, as well as other similarly sized french presses.